Every Java application has a single instance of class Runtime that allows the application to interface with the environment in which the application is running. The current runtime can be obtained from the getRuntime() method. 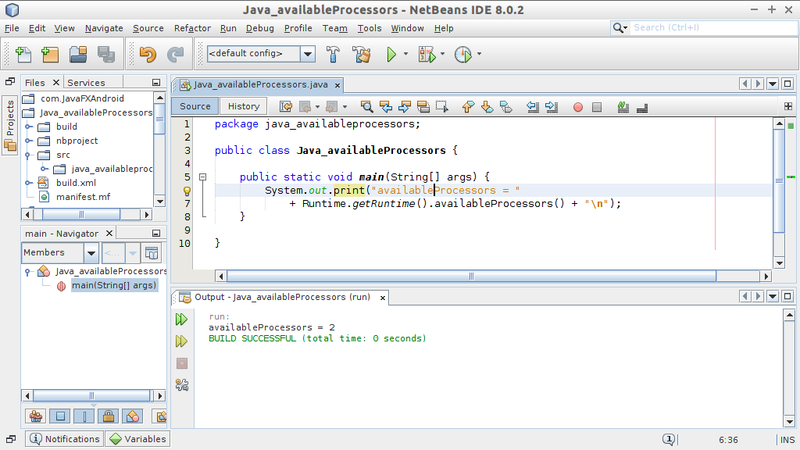 availableProcessors() method of Runtime returns the number of processors available to the Java virtual machine.